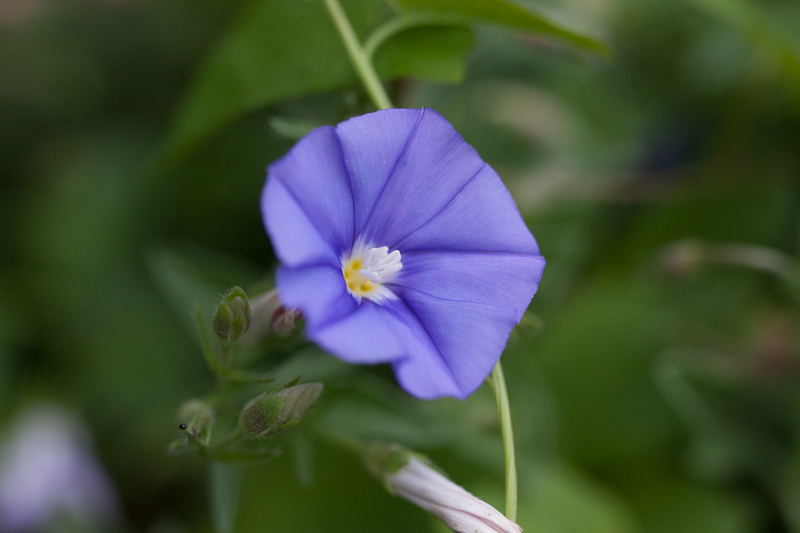 Also known as Convolvulus sabatius. Trailing groundcover with a woody base and herbaceous stems. 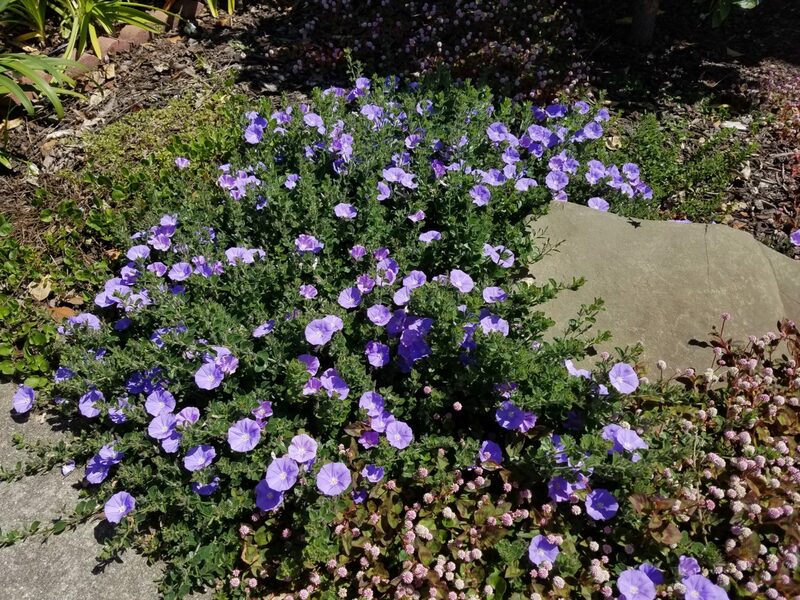 Grows up to 1 ft tall and spreads 3 ft in diameter or better. 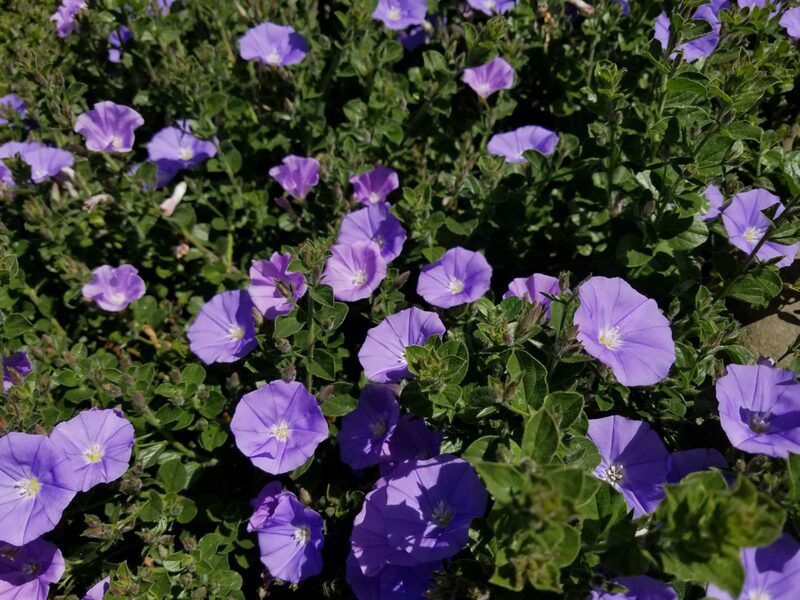 Light-blue funnel shaped flowers bloom throughout the year in mild winters but blooms heaviest in spring through fall. Well drained soil, tolerates alkaline soil and will grow in heavier clay as long as it drains and is not overwatered. Can resprout if tops freeze back. Tolerant of near-coastal conditions. Trim back in winter to prevent from getting too woody and to maintain size. Great for small ground cover or to fill in gaps, also for containers and hanging baskets where it can spill over the edge. Native to coastal areas of Algeria and Morocco in northwestern Africa, Spain, and Italy. Goes well with Convolvulus cneorum.